Always stay connected to the battlefield with the Battlelog app for iPhone and iPad. It contains all the features you need to stay on top of the game. Check your stats, see what’s next to unlock, view the results from your matches, challenge your friends to Missions, customize your Loadout and see how you’re doing in the Geo Leaderboards. 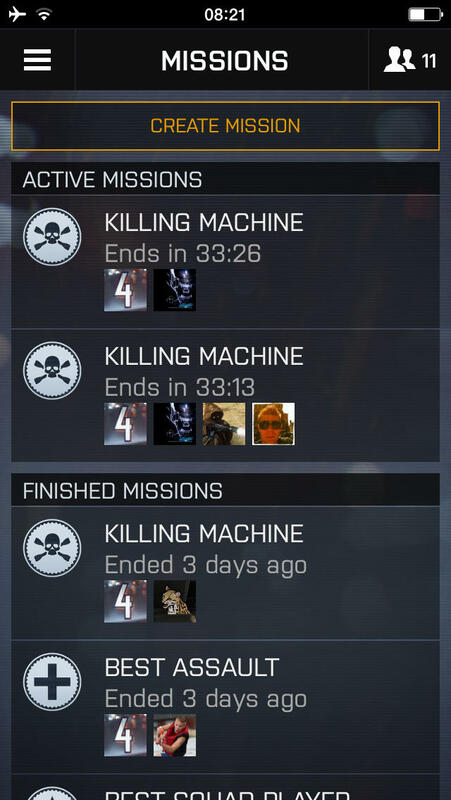 Battlelog even connects to Battlefield™ 4 while you’re playing the game! 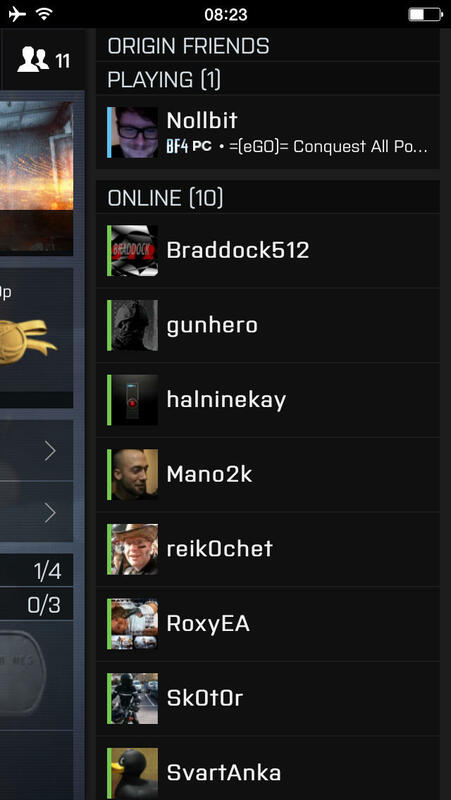 Now you can find the server you want to play on or join a friend directly from the Battlelog app with Remote Joining. You can also customize your Loadout in real-time while you’re playing, and on iPad you can even use BattleScreen to get a fullscreen, real-time minimap of the game you’re playing. You can also connect with friends and the Battlefield™ community. Write updates to your feed, read all the latest news and join other passionate fans in the forums. With Battlelog you will always have the battlefield with you. • SOLDIER STATS & PROGRESSION – View the progress and stats of your soldier to see how far you are from your next rank, how many kills you’ve gotten, and which weapon is your best. • LOADOUT – Customize your soldier’s Loadout wherever you are, and you can even update from the app in real-time while you’re playing. • SUGGESTIONS & TRACKING – Get suggestions for new awards and unlocks to pursue, or find that special weapon you’re after and track it so you can follow its progression. • BATTLE REPORTS – View detailed stats of your past games to inspect your strengths and weakness, and share the reports to your feed for extra bragging rights. • MULTIPLAYER & REMOTE JOIN – View and find servers directly in the app, and join your friends or favorite servers remotely when you’re playing. • BATTLESCREEN* - View the minimap in fullscreen and real-time on your iPad, while you’re playing. As squad leader you can even set new orders directly from the app. • LEADERBOARDS – Choose your location and see how you stack up against friends, your city, your country and the world across a wide range of stats. • MISSIONS – Challenge your friends to custom Missions to see who can get the most kills in a round or be the best tank destroyer. • CAMPAIGN – View your campaign progression, check your stats and see how many points you’ve collected compared to your friends. 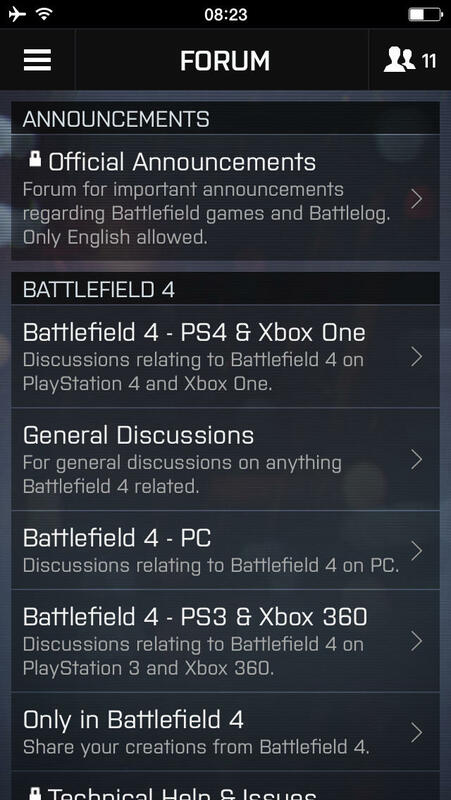 • FORUMS – Share your passion for Battlefield™ with the rest of the community in the forums. 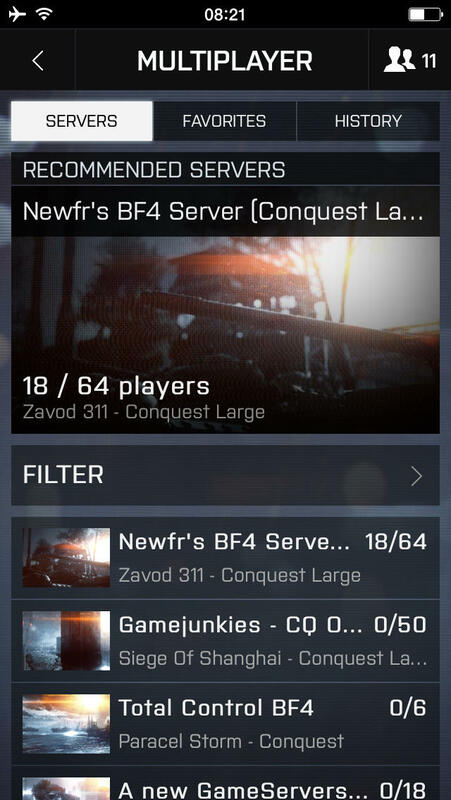 • BATTLE FEED – Stay in touch with your friends’ Battlefield™ progression and share your stories with them. 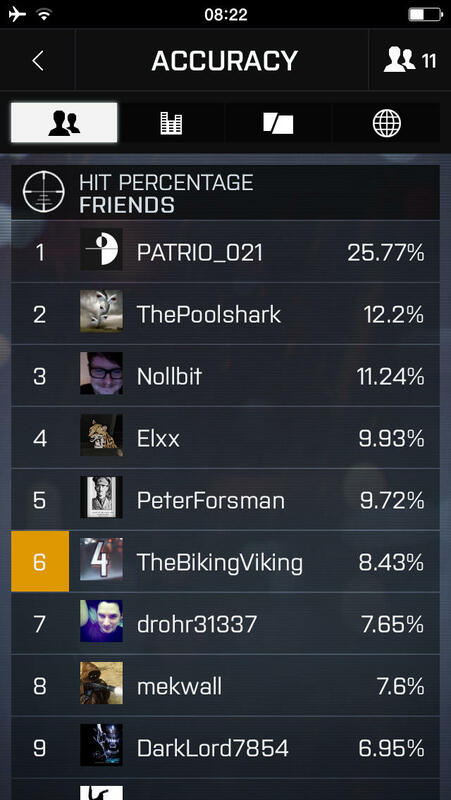 • COM CENTER – See when your friends are online and are playing Battlefield™ and get quick access to their profile and stats. • NEWS – Stay up-to-date with the latest Battlefield™ news from anywhere in the world. • PREMIUM – See what releases and drops are coming up for Premium members.